Be reasonable but know your worth! A few years ago the thought that you might struggle to find a job was almost laughable! Employers were chomping at the bit to snap up talented individuals to further their business exploits! Since the economic crash the picture has changed completely. Unemployment is high and businesses are fearful of hiring as they don’t know what the future holds. The sad thing is that some employers will try to take advantage of this by preying on vulnerable individuals and paying them wages that really don’t reflect their skills & worth. If you are one of those people who is in desperate need of a job, I really do feel for you. The goal of this post is to encourage you to balance two aspects of a job search. Being reasonable but knowing your worth! This is the hardest balancing act when searching for a new job. 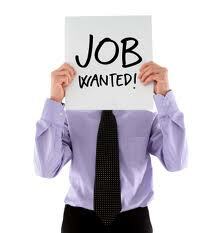 We all want a job that utilizes and rewards our qualifications and skills. In the current climate though, that may not be fully achievable. If you were previously employed as a web developer for example, it can be hard to accept that you may have to stack shelves if you want to start earning again. I’ve seen pride rear its ugly head at various times in my life! When we find ourselves in a position where we are no longer able to provide for those that we love, our pride is the first thing to be hit. To top it all off we then have to face up to the fact that the job and salary that we have become accustomed to may no longer be available. What will you do in this situation? This is where we have to be reasonable. Have you tried for sometime to get a job that matches your old job in terms of job satisfaction and salary, but to no avail? As hard as it might be to accept that your standard of living may have to be reduced, don’t let your pride stop you from taking a job that doesn’t hold the same prestige as your previous one. You may even find that the feeling of pride you gain from providing for yourself & family again, far outweighs the drop in your standard of living. During our careers we all gain and develop skills that make us invaluable to companies. During a recession many businesses try to take advantage of the ample supply of people looking for work, by offering salaries that are far short of what they should be for the role on offer. I feel the key here is to balance being reasonable about your salary expectation, with confidence in your ability to fulfill the job description to a better standard than your competitor. Confidence is something that radiates from a person and has the ability to instill confidence into those around you. Employers may be looking to take advantage of the supply of labour but they are also not stupid. If they see something in your demeanor that they are attracted to, and also see that you possess the skills needed to make their business thrive, the opportunity could still exist to negotiate the salary on offer. If it is obvious that you are going to bring double the profits to the business than another applicant would, it makes sense for them to pay slightly more for your services! If you know your own worth, this confidence in your ability may well resonate with a potential employer and could influence the salary on offer! This confident but not arrogant belief in your worth may even increase your chances of getting a job. Balance really is the key when job searching. Don’t be so proud that your expectations hold you back from accepting a job that would allow you to provide again. Do have confidence in your abilities though and don’t let people take advantage of your predicament! HomeBuyer Reports ~ Are They Worth it? Who is worth more, the Beckham’s or the Oliver’s? 4 Responses to Be reasonable but know your worth! Ah, this is my never-ending dilemma; I make peanuts right now. I have a year and a half of experience and my skills are worth at least $10000 a year more, but because a) I work for my family and b) I don’t have a diploma as of yet, I’m not paid nearly as much as I should be. I am fully trained and am just as good if not better than all the prior people in my position, but I guess I’m a bargain at the moment; all the work for 60% of the cost. However, there may be a development brewing where I’d take over another full function completely, since I could effectively do both. If that happens, I’ll be walking into HR and asking for twice my pay. They’d still be saving money as the person currently in that position makes considerably more than me, and twice the work should equal twice the pay (at least as a jump-off point). I remember feeling like that when I was training. Hang in there! When you get your diploma you’ll be able to take it anywhere! I used to make peanuts in my old job. After I was promoted to supervisor and recieved a quarter raise (keep in mind I had been looking for a better job the entire time but sometimes you need to take whatever if it’s all you have) and was doing twice the work of most people, I gave them a few months while I upped my job hunt. I got into my current company about a month or two later. The old company was shocked that I was leaving. Go figure. Some companies just don’t know what a good employee they’ve got. Or just don’t care to notice! If you treat workers well, they’ll pay you back with loyalty and hard work. I think so anyway.